On Saturday, January 19, 2013, in Hallandale, FL, the 42 Annual Eclipse Awards, Thoroughbred Racing’s year end honors, will be given out. Much like other sports, such as the NFL, NBA, etc., there are awards for outstanding achievement in various divisions. The Eclipse Awards are voted on by three voting bodies, the National Thoroughbred Racing Association, Daily Racing Forum, and The National Turf Writers and Broadcasters. Many great horses have received this honor in their division. Bernardini won an Eclipses for Outstanding 3 Year Old (2006), Gio Ponti won the award for Outstanding Older Male (2009), My Miss Aurelia won Outstanding 2 Year Old Female (2011), and many other greats have won this award as well. The big award is the Eclipse Award for Horse of the Year. That is for the horse who has had the best year in racing. There is a lot of prestige that comes with winning this award. Past winners are Criminal Type (1990), Alysheba (1988), Rachel Alexandra (2009), Ghostzapper (2004), Havre de Grace (2011), Ferdinand (1987), and many more. The 2012 candidates for all the awards, especially Horse of the Year, are just alright. 2012 saw a lot of the 3 year olds that ran in the Kentucky Derby fall by the wayside due to injuries and retirement. I didn’t see one older horse, outside of Horse of the Year candidate Wise Dan , who runs mainly on the turf, really dominate. I just think it is slim pickings. In this blog, I am going to just lay out each category and the choices. I will give my pick, and then put down who I think will win. My Pick: Jose Mantano because he was the leading N. American apprentice jockey in wins. Who will in: Jose Mantano. Javier Castellano- won 325 races for mount earnings of $22,441,852. Won 8 Grade 1 victories. My Pick: Ramon Dominguez because he is the leading rider in North America. Who will win: Ramon Dominguez. Darley- Bred the winner of the 2012 Coaching Club American Oaks and Alabama Stakes, Questing. Darley also bred the co-winner of the Travers, Alpha (who dead heated with Golden Ticket), and the winner of the Matriarch Better Lucky. Adena Springs- Bred the great gelding Game On Dude, and compounded its record as the decade’s dominant breeder by earnings. Brereten Jones- Owns Airdrie Stud in Midway, KY. Home bred stallion Proud Citizen sired 2012 Kentucky Oaks winner Believe You Can, and his son Mark Valeski won the Peter Pan Stakes. My Pick: I would pick Darley. Their horses seemed to have accomplished a lot more on the track. 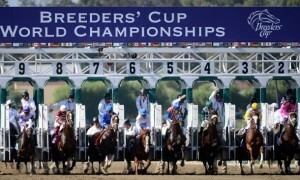 Who will win: Adena Springs, likely due to their dominance in earnings. Reddam Racing -Owner of Kentucky Derby and Preakness winner I’ll Have Another. Midwest Thoroughbreds -Owned by Richard and Karen Papiese, the operation focuses on claiming. One of their biggest accomplishments was claiming Guam Typhoon in February of 2012, and the gelding won 6 consecutive races in 5 different states. Three of the races were stakes races. Godolphin Racing, LLC – Their horses Monterosso and Caponi finished 1-2 in the Dubai World Cup in 2012. Alpha (via Darley) won both the Jim Dandy and the Travers. My Pick: As much as I am not a huge fan, I am going to have to go with Reddam Racing. They did campaign a horse that was on the cusp of a Triple Crown attempt. Who will win: Reddam Racing. Bob Baffert- Trained in 2012: Bodemeister, Paynter, Game On Dude. Dale Romans- Trained in 2012: Shackleford, Little Mike, Tapitsfly. Todd Pletcher- Trained in 2012: Shanghai Bobby, Stay Thirsty, Love and Pride. My Pick: I am going out on a limb and think that Dale Romans wins this. The other two had pretty good seasons, but Roman’s conditioning of Shackleford, and especially Little Mike may put Romans over the top. Who Will Win: I am going to think that Todd Pletcher will get it. Demonstrative- Winner of the 2012 Colonial Cup. Divine Fortune- Has not won a stakes this year. Finished 2nd in several stakes. Pierrot Lunaire- Winner of Lonesome Glory Steeplechase Stakes to break 8 race winless streak. My Pick: I have no idea about Steeple chasing. I will pick Pierrot Lunaire. Who Will Win: Pierrot Lunaire. Groupie Doll- Won 5 straight Grade 1 races, including an awesome 4 1/2-length win in the Grade 1 Breeders’ Cup Filly and Mare Sprint on Nov. 3 at Santa Anita. MizDirection- Owned by a group that includes sports commentator Jim Rome. Started 2012 with win in the Grade 2 Monrovia. After 161 day layoff, won the Breeder’s Cup Turf Sprint. Contested- Winner of the Eight Belles, the Test Stakes, and the Acorn Stakes. My Pick: This is Groupie Doll’s award. Who will win: Groupie Doll, hands down. Shackleford- Winner of the Churchill Downs (sprint), Met Mile. Trinneberg- Winner of the Swale, Bay Shore, and Breeder’s Cup Sprint. The Lumber Guy- Winner of the Jerome and the Vosburgh. Runner-up to Trinneberg in the Breeder’s Cup Sprint. My Pick: I would go with Trinneberg, because of the Breeder’s Cup win. I have mixed feelings about using that race as a criteria to determine winners and losers of these awards. Who will win: Trinneberg, most likely because of the Breeder’s Cup win. Tapitsfly- Winner of the Just A Game Stakes. Marketing Mix- Won Nassau Stakes and Dance Smartly Stakes at Woodbine. Finished 2nd in the Beverly D. at Arlington Park to I’m A Dreamer, and in the Breeder’s Cup Filly and Mare Turf to Zagora. Zagora- Winner of the Endeavor Stakes, the Hillsborough Stakes, and the Breeder’s Cup Filly and Mare Turf. My Pick: Being a huge fan of Medaglia D’Oro, the sire of Marketing Mix, I want her to win, so she is my sentimental pick. Who will win: The Eclipse Award will likely go to Zagora due to her Breeder’s Cup win. Wise Dan- Winner of the Breeder’s Cup Mile and the Shadwell Turf Mile. Little Mike- Winner of the Arlington Million and the Breeder’s Cup Turf. Point of Entry- Winner of the Joe Hirsch Turf Classic, the Sword Dancer, and the Man O’ War. My Pick: I would pick Little Mike. It is quite an accomplishment to win both the Arlington Million and the Breeder’s Cup Turf in one year. That should be rewarded. Who will win: I am thinking that Little Mike will win it, especially with Wise Dan being the leading candidate for Horse of the Year. Include Me Out- Winner of the La Canada Stakes, the Santa Margarita, and the Clement Hirsh. Royal Delta- Winner of the Breeder’s Cup Ladies Classic. Also won the Fleur de Lis, and the Beldame. My Pick: It would be a toss up between Groupie Doll and Royal Delta. I would lean towards Groupie Doll. She won 5 straight Grade 1 races. Who will win: The award will likely go to Royal Delta. RD had a great year, and the Ladies Classic does have more weight than the Filly and Mare Sprint in the eyes of the voter. Groupie Doll may have had an edge had she not been nosed out by Stay Thirsty in the Cigar Mile, so the winner will be Royal Delta. Fort Larned- Winner of the Breeder’s Cup Classic and the Whitney Handicap. My Pick- I like Little Mike to win. Who will win- Due to his triumph in the BC Classic, Fort Larned will likely get the award. Questing- Winner of the Alabama Stakes, and the Coaching Club American Oaks. My Miss Aurelia- Winner of the Cotillion Stakes and the Mandy’s Gold Stakes. Finished second to Royal Delta in a thrilling Ladies Classic performance. Finished a close third to LaBrea. Believe You Can- Winner of the Silverbulletday Stakes, the Fair Ground Oaks, and the Kentucky Oaks. My Pick: I admit I am a huge mark for My Miss Aurelia, having gotten to visit her at Churchill Downs as a result of a contest run by Stonestreet Farm, who co-owns her along with George Bolton. She had a pretty decent year after not being at the races for 9 months due to injury suffered at the end of her 2 year old year. So, I pick My Miss Aurelia. Who will win: I am going to go with Questing for her dazzling performances in the Coaching Club American Oaks, and the Alabama Stakes. I’ll Have Another- Winner of the Santa Anita Derby, Kentucky Derby, and Preakness Stakes. Scrated the day before the Belmont Stakes due to injury. Bodemeister- Winner of the Arkansas Derby. Runner-up to I’ll Have Another in both the Kentucky and Preakness Stakes. Union Rags- Winner of the Belmont Stakes, and the Fountain of Youth Stakes. My Pick: I think my readers who have read my horse racing blogs know my love for Bodemeister. I am a huge mark for Bodemeister, so he is my sentimental pick. 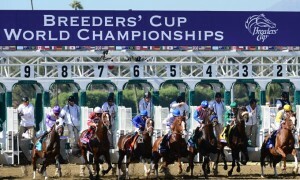 Who will win: The three year old crop for 2012 did not give racing fans much after the Kentucky Derby. Injuries, retirements, illness deprived fans of seeing them race. Even here, it is pretty obvious who the pick is going to be. The winner will be I’ll Have Another. Beholder- Winner of the Breeder’s Cup Juvenile Fillies. Dreaming of Julia- Winner of the Frizette Stakes and the Meadow Star Stakes. Executiveprivilege- Winner of the Del Mar Debutante, and the Chandelier. Finished 2nd to Beholder in the Breeder’s Cup Juvenile Fillies. My Pick: I liked “Julia” and “Privilege” all year, so either one would be fine with me. Who will win: Due to her winning the Breeder’s Cup Juvenile Fillies, the award will likely go to Beholder. Violence- Undefeated in 3 starts. Winner of Cashcall Futurity and theRemsen Stakes. Sired by Medaglia D’Oro, who is the sire of 2009 Horse of the Year Rachel Alexandra. Shanghai Bobby- Winner of the Breeder’s Cup Juvenile. Undefeated. He also won the Hopeful Stakes, and the Champagne Stakes. Uncaptured- Winner of the Iroquois and the Kentucky Jockey Club. Dominated in Canada. Record was 6 for 7 as 2 year old. My Pick: I would pick Violence, being the huge fan of his sire, Medaglia D’Oro. Who will win: Shanghai Bobby will walk away with the award due to being a bit more accomplished. I’ll Have Another- Winner of the Santa Anita Derby, Kentucky Derby, and Preakness Stakes. Scratched the day before the Belmont Stakes due to injury. My Pick: All three horses, in their own way, are worthy candidates. I am going with Wise Dan. I admit there hasn’t been a horse that has really dominated, but I think Wise Dan has come the closest. Who will win: Wise Dan, for the reasons I stated. There also will be another horse honored at the Eclipse Awards. As most of my readers know, I have written several blogs about a horse named, Paynter. He was the 2012 Haskell winner who successfully battled colitis and laminitis, and has returned to training under Bob Baffert. Paynter’s brave fight won him the 2012 Vox Populi Award. Well, Paynter received yet another award. He and his fight for his life won the 2012 NTRA “Moment of the Year” Award (http://www.followhorseracing.com/en/the-latest/news-stories/2013/1/17/paynter-recovery-voted-2012-ntra-moment-of-the-year/). Paynter’s connections, Zayat Stables, will be honored at the Eclipse Awards on Saturday, January 19, 2012 as part of the ceremony. As one of Paynter’s biggest fans, I am so proud. I can’t even put into words how proud of him, and how happy for him that I am. I am so excited for the Zayat family that Paynter is not only alive, but is going to be honored. The ceremony airs on HRTV. Well, that is my preview for Saturday’s Eclipse Awards. I hope you enjoyed this.